Join Microsoft MVP Darrell Webster of Regarding 365 as he hosts an open Q&A and podcast with engineering leaders from Microsoft Teams. Topics include what's new with Teams and responses to the day one keynotes, insights into user adoption and usage observations, and more on how the Microsoft Teams engineering team uses their own product. 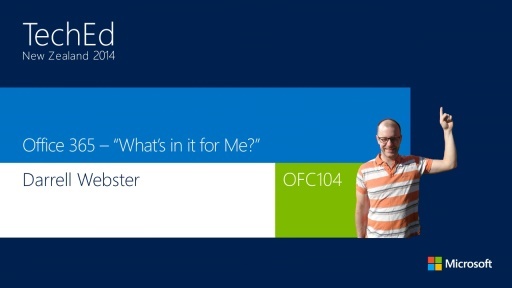 Office 365 - "What's In It For Me?"